It’s Dracula season in North-east Scotland as Duncan Harley reviews Dracul by Dacre Stoker and J.D. Barker. 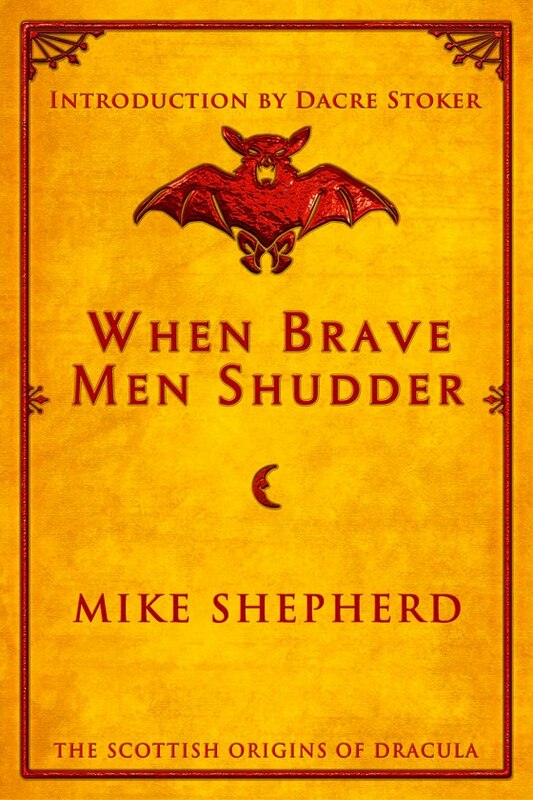 Local writer Mike Shepherd is about to release a new book about Bram Stoker’s Cruden Bay connection and Dacre Stoker – in conjunction with Illinois born writer J.D. Barker – is about to unleash a prequel to Stoker’s Dracula classic. Dacre Stoker gave a talk at Cruden Bay in early 2017 and both Janice and I were privileged to attend. 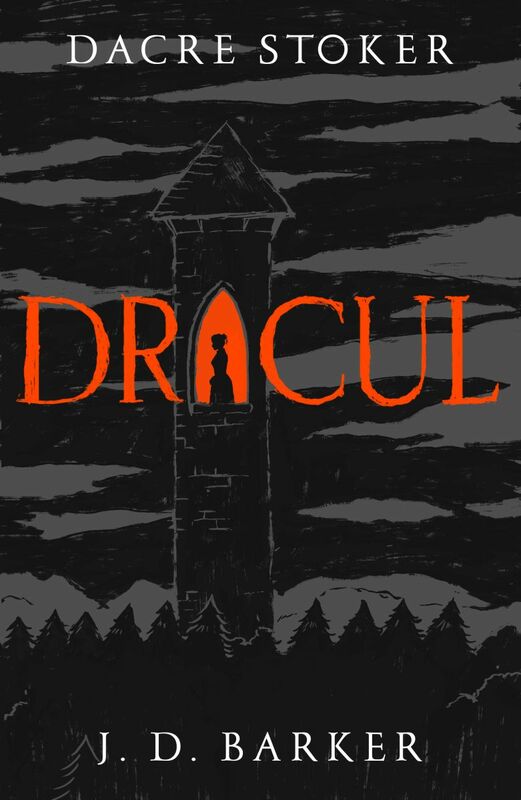 Alongside setting forth some solid ideas about the history and the mythology of vampirism, Dacre let slip the fact that his forbear, Bram Stoker, let loose upon the world that classic of the bloodsucking genre ‘Dracula’. Bram Stoker, author of the Gothic Vampire Horror tale ‘Dracula’, and many other literary sensations, stayed with his wife and son at the hotel for most of that 1884 August. He returned frequently over the subsequent 20 years and wrote at least part of his Dracula tale at Crooked Lum Cottage, one of his holiday homes at Cruden Bay. 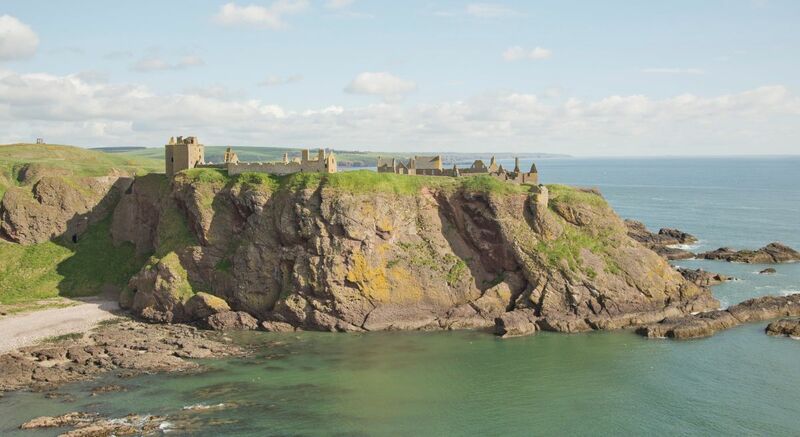 There is a strong local belief that his tale of Transylvanian terror was heavily influenced by nearby Slains Castle although Ecclesgreig Castle at St Cyrus and the town of Whitby in Yorkshire also claim to be Stoker’s inspiration. But the jury is still out. Jointly written by Dacre Stoker and J.D. Barker, the new Gothic novel, ‘Dracul’ makes no pretence at solving the riddle and, in a volume dedicated to ‘finding the roots’ of the Dracula truth, both Dacre and Barker have penned a bold prequel to the Stoker tale. Dracul is described in the PR fluff as ‘Scary as hell. Gothic as decay’. And for once, the cover fluff is pretty much near the truth. Based on notes left behind by Bram Stoker, Dracul is really a fly-on-the wall insider-vision to what really happened. Stoker is in a room, in a tower armed with various items. A gun, some mirrors and holy water litter the table alongside some plum brandy and a crucifix for fortification. His fevered mind imagines a night to remember and he awaits with some trepidation the inevitable battle with the undead. Inevitably, the reader is drawn to the suspicion that this early tale reflects at best a dream sequence brought on by some dreadful childhood fever or, at worst, an over-use of some prescription medication. Imbued with a sickly childhood, Bram’s tales probably reflected his early sufferings and his later associations with theatrical empressario, Sir Henry Irvine could only have augmented the childhood recollections but in a mainly theatrical way. But, back to the chase … imagine if you will a pre-adolescent Dracula author – in fact Stoker himself – sitting behind a firmly locked door awaiting the arrival of some dreadful apparition. The indescribable tension will have you hiding your face in your hands at times and the complexity of the tale might draw you to the very edge of your seat. Blood and guts in nature, Dracul is one of those gripping reads which – by its very provenance – is difficult to put down. All in all, this is a splendidly orchestrated piece of pure Gothic horror told in the style of the master of the art and by writers who have been privileged to access the family archives. Tucked out of the way in the far reaches of the land, behold Aberdeenshire, a place that can boast the forlorn reputation of being largely unknown to the population at large. Edinburgh yes; Glasgow yes; and lots of tourists nip up the west coast of Scotland, but Aberdeenshire? If the area registers at all in the national consciousness, it’s a vague awareness of something to do with North Sea oil, whisky, farming and a bit of fishing. Otherwise nothing much ever seems to have happened there. Then along comes Duncan Harley’s new book to challenge these perceptions. Much in the way of odd and curious things did indeed take place in that north-eastern corner and the world hadn’t known about it until now. The book follows an alphabetic format starting with A for Aberdeenshire Art and ending up with Z for Zeppelins. Now that last section I found the most curious. During the First World War a German bombing raid went astray as the Zeppelin got lost somewhere over Aberdeenshire. Crazy or what? – yet fairly typical of Duncan’s fascinating book. Here’s how it came about. 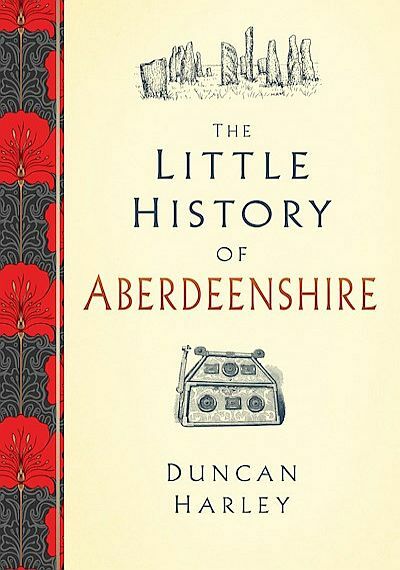 Duncan was asked by the History Press to write the book. They had been aware of his articles in Leopard magazine, now subsumed into the Scottish Field. 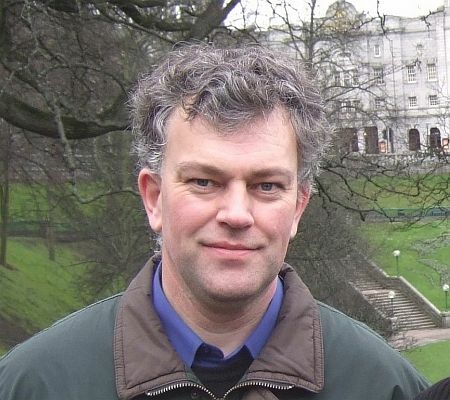 Duncan is a known wordsmith having worked for a time on a newspaper before turning to freelance writing. He has also contributed to the Aberdeen Voice which as he writes in the introduction deserves special recognition for their support. 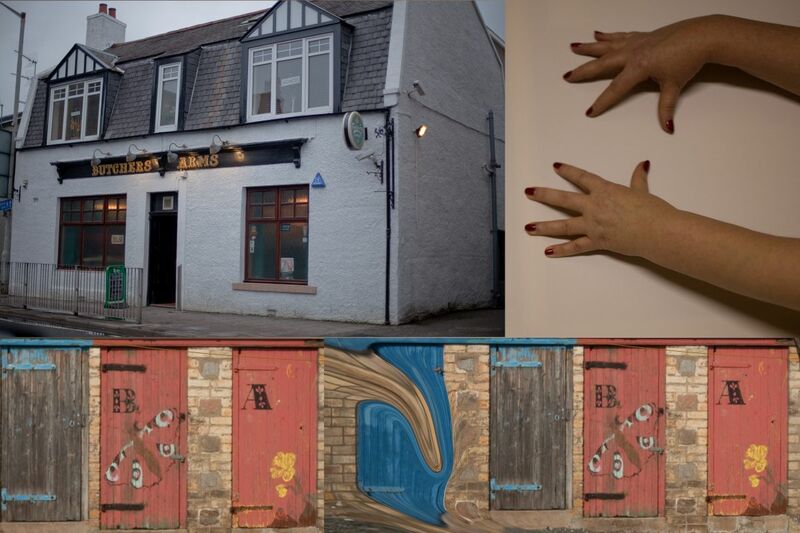 – Buffalo Bill’s trip to Peterhead and Fraserburgh with his Wild West Show. – How the Beatles, then the Silver Beetles, were nearly wiped out in a car crash on the road to Fraserburgh. – The German spies who landed at Crovie during the Second World War. – The royal wee… Queen Victoria’s toilet at Ballater. And on a similar theme – how a German U-Boat was sunk by its toilet near Cruden Bay. – The Stonehaven Railway Riot in 1848 during the construction of the line to Aberdeen when over 200 navvies rampaged around the town. This and so much more – an alphabet soup for the curious. Highly recommended – The A-Z of Curious Aberdeenshire is on sale in bookshops around Aberdeen and the Whisky Shop in Inverurie – where signed copies are to be had. Do have a look. With thanks to Leanne Carter, Account Manager, Tricker PR. Runners of all abilities are assured of a fairy tale finish at next month’s Crathes Half Marathon – thanks to a castle that looks like it has come straight from the pages of a story book. The stunning Crathes Castle near Banchory in Aberdeenshire provides the back drop for the finish of the event, and all participants will get a welcome fit for a king – or queen – as they cross the line on September 16. Organisers promise that participants will be not encounter any evil goblins or gremlins during their 13.1-mile adventure – the scenic course through the Deeside countryside is renowned for its PB potential guaranteeing runners a happy ever after. However, Crathes Half Marathon will soon reach the end of a very important chapter: the deadline for entries is September 8. Natasha Finlayson, events co-ordinator at Crathes Castle, Gardens and Estate near Alford, says the course has been a real favourite with past participants. “Over the years Crathes Half Marathon has become really popular, with runners travelling from all over the country to take part,” explains Natasha. “It’s a challenging course with a couple of hills, but it is predominantly on the flat. It’s best known for helping many runners achieve a personal best and as a great event for those attempting the half marathon distance for the first time. “While the atmosphere, marshals and camaraderie out on the course are great, the one thing we always get really positive feedback about is the scenery and how beautiful the route is. 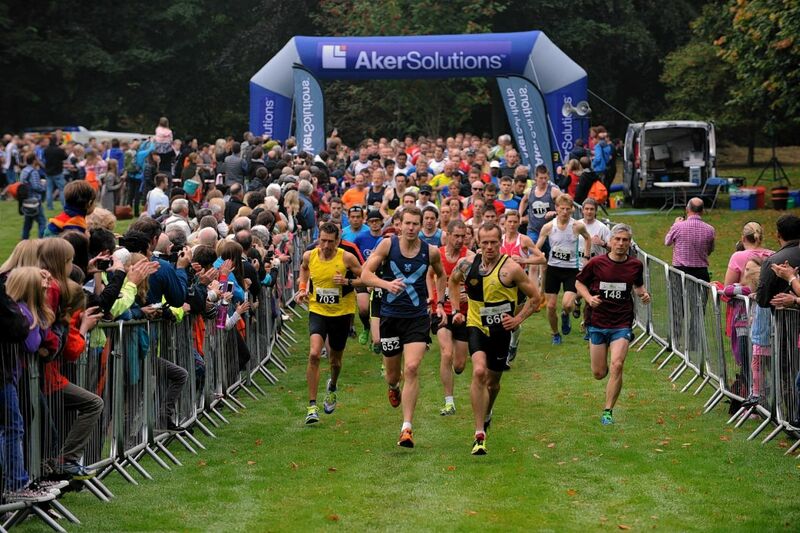 “There are sections on the road, short sections off-road, and of course that spectacular finish line in front of the castle which really helps to put a spring in the step of runners down the finishing straight. “But it’s not just completing the course that will give runners the feel-good factor, as all proceeds from the event will go towards the National Trust for Scotland’s conservation work. 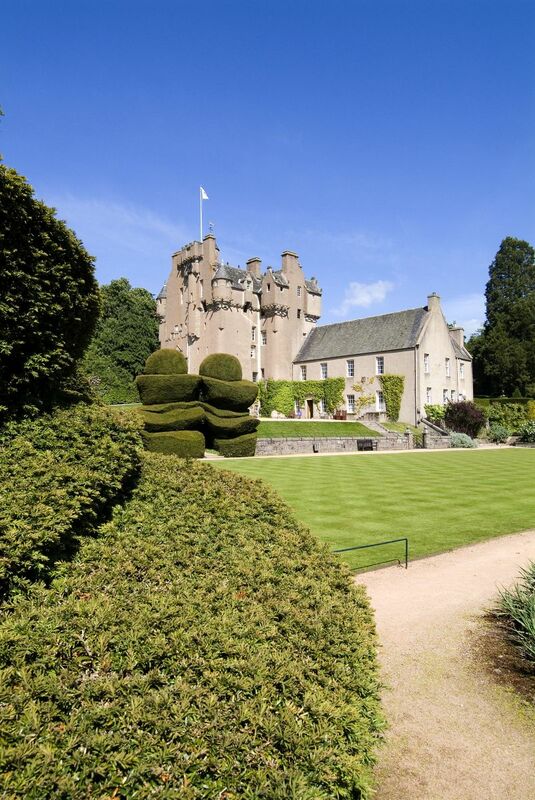 With its harled façade, magnificent turreted towers and walled gardens, Crathes Castle, which is managed by the National Trust for Scotland, Scotland’s largest conservation charity, is a standout property from the 16th century. The castle and its gardens will be open to visitors during the half marathon, and organisers will also be laying on plenty of entertainment to help inspire the future generation of runners. A family fun day will be the centrepiece of the day’s entertainment, complete with traditional children’s events including the egg and spoon, three-legged and sack races. There will also be a chance for adults to show their sporting prowess in these events too. “It’s going to be a fantastic day out for the all the family, whether they are taking part in the half marathon or spectating. In addition to the traditional races, we’ll also have an assault course, a bungee run and giant inflatables. “The great thing about Crathes Half Marathon is its appeal to runners of all abilities, whether you are aiming to finish in a little over an hour, or expect to be nearer to three hours. Entries to the Crathes Half Marathon – with all proceeds going to help the work of the National Trust for Scotland – are open now at http://www.nts.org.uk/Site/Crathes-Half-Marathon/Crathes-Half-Marathon/ All finishers will receive a medal and a technical t-shirt. They are the type of beasties that most people try to keep out of their homes but the rangers at Craigievar Castle will be doing everything they possibly can to lure moths out of hiding – even offering them a beer. Visitors to a late-night event at the National Trust for Scotland’s property will be able to learn how to make sugar traps – a sticky solution of black treacle and beer that moths just can’t resist. The sweet-smelling mixture, which is completely harmless to the creatures, is then pasted onto trees in the grounds of the castle and will attract moths from far and wide. But it’s hoped that moths will not be the only winged visitors making an appearance at the family event on Friday, July 28. 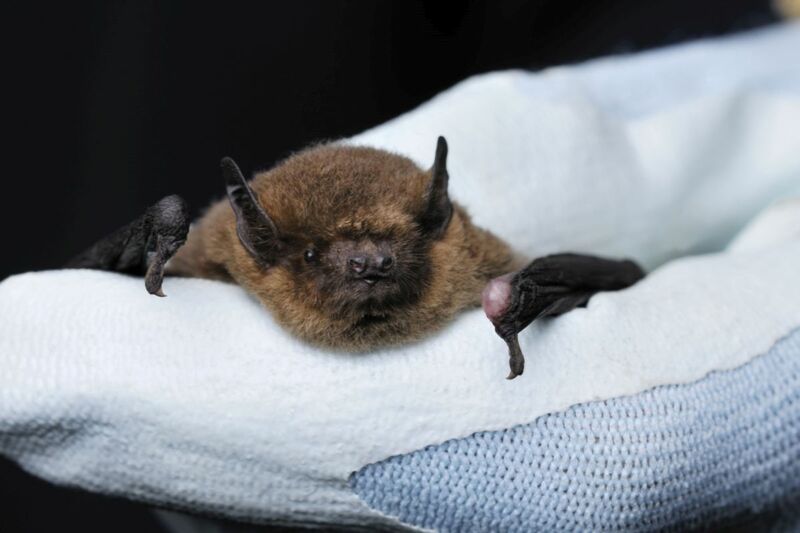 Those who go along to the Craigievar, near Alford in Aberdeenshire, will also have the chance to meet the resident colony of bats. The elegant tower house, known for its distinctive pink façade, is home to pipistrelle and brown long-eared bats which love to go flying as the sun starts to set. “Moths and bats are absolutely fascinating flying creatures. We’ve previously staged popular events for bats and events for moths, but this is the first time that we have brought the two together. “We’ll start off in the castle grounds where we will show people how to make and set sugar traps. The traps are a harmless mixture of black treacle and beer which is boiled up and pasted to trees. It gives off a sweet-smelling nectar which the moths love. “While we are waiting for the traps to work their magic and attract the moths, we’ll take a walk around the castle grounds and look for bats. We have not yet conducted a bat survey this year, but previously we have had pipistrelle and brown long-eared bats roosting at the castle. “We’ll be using bat detectors to see what is out and about, and during the walk we’ll be discussing the bats and their nocturnal lifestyles. “We’ll then go back to the sugar traps and set up a light so that we can see the months. As well as a torch to walk around the grounds, we recommend that people bring sunglasses or a wide brimmed hat to protect their eyes from the light – a real mix of items! Moths and Bats at Craigievar is one of a range of special events being held by the National Trust for Scotland, Scotland’s largest conservation charity, at its properties over the summer months. The event is being staged by the Trust’s Ranger Service in partnership with Aberdeenshire Council Ranger Service and Butterfly Conservation. 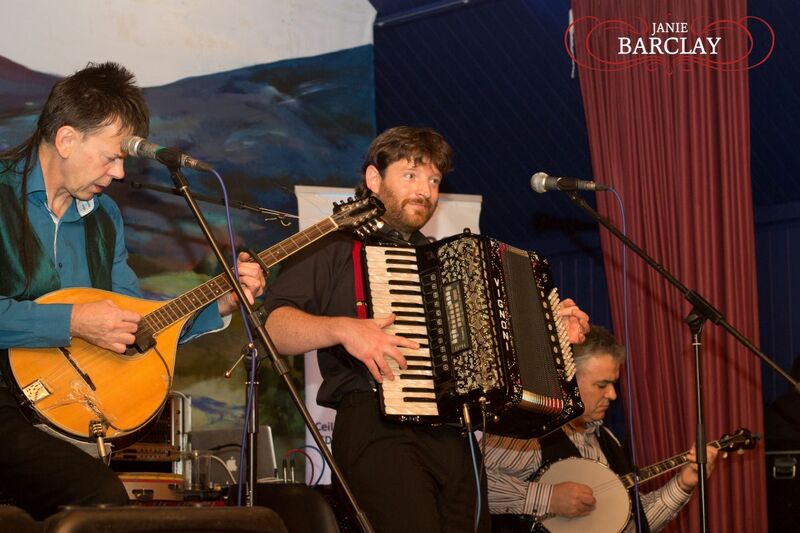 It is suitable for all ages – visitors aged under 16 must be accompanied by an adult – and starts at 8.30pm. It will go on until after darkness falls, and is expected to wind up at around 10.30pm.